The Anvil 980 is the classic, lightweight adult T-shirt with left chest "US Navy" with 3 anchors arched. Below reads "Chiefs". 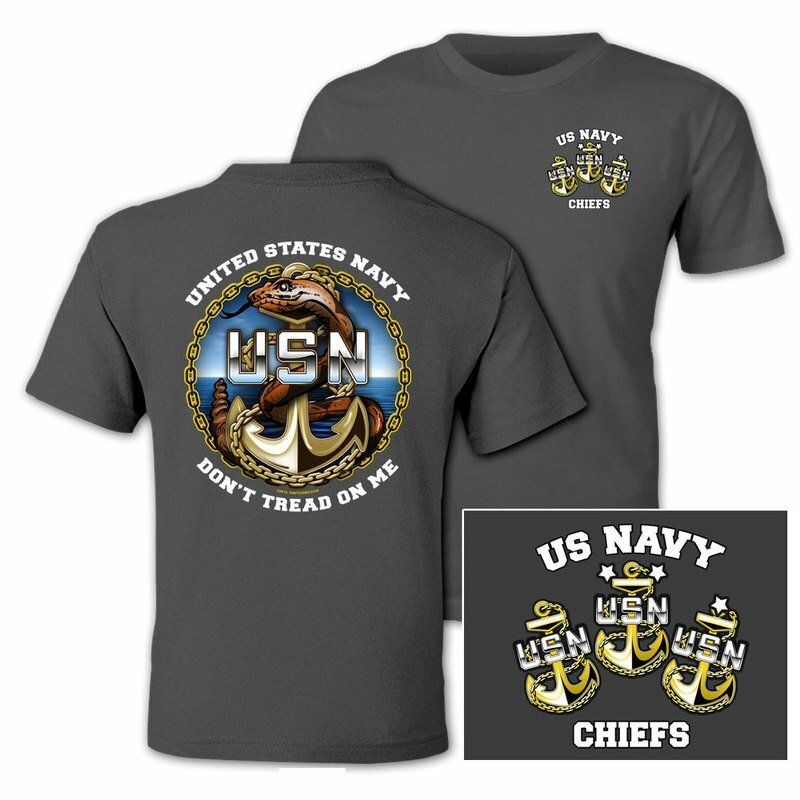 Full Back graphic "United States Navy" with the Don't Tread on Me snake holding the Chiefs Anchor. Below reads "Don't Tread On Me"